Virtual tour provider - Mkjtours.com - create unlimited virtual tours! Business opportunities available for photographers and virtual tour providers. 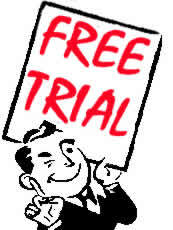 Click here to open a free two week trial account today! Set yourself apart from the crowd, and invite online buyers to take tours of all of your listings! Mkjtour.com makes it easy to create impressive and informative Virtual Tours for only $29 a month. We offer the best price in our industry, full 360° Panoramic Imaging, a host of useful features, friendly and diligent support, and the most tour customization available anywhere. Our virtual tours can be created in a couple of minutes, you can include up to 60 images in each tour, and can be linked to most major real estate websites. Join today and take your Real Estate Business to a whole new level! Though there are many virtual tour providers in the market, they are prohibitively expensive, the tours are slow, sometimes cause computers to crash, and Realtors often find dealing with virtual tour photographers to be too much of a hassle. So we set out to create a system that would enable computer novices to create their own online home tours in a matter of minutes using any digital camera, and by early 2003, Mkjtour.com was online selling virtual tours. By using our own technology rather than off-the-shelf solutions, we provide unmatched quality virtual tours; excellent pictures, yet very fast downloading. And the viewing software is already installed in over 98% of computers. Look, here's the real value! What makes us special? Find out why our virtual tours are better than our competitions. SPECIAL OFFERING!! GET UNLIMITED MONTHLY TOURS FOR ONLY $19.00 A MONTH. THIS INCLUDES VIRTUAL TOURS, E-VIDEO SLIDE SHOWS, AND PRINTABLE BROCHURES. FOR MORE INFORMATION PLEASE CONTACT US.